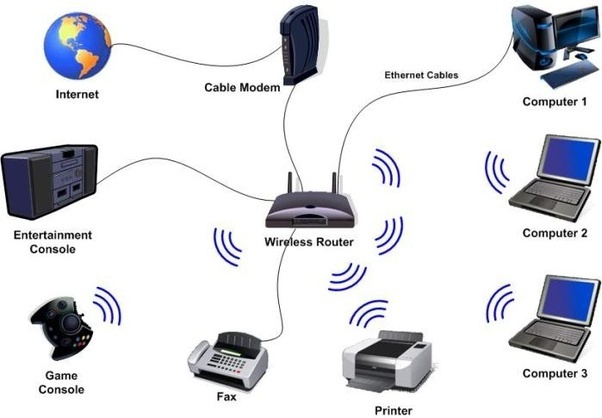 We will discuss with you the process of connecting your modem to the laptop in a simplified manner ensuring that you do not get lost on the way. Connect Ethernet cable to the Ethernet port on your laptop. Ensure that the Ethernet light is flashing green next to the port you are using. Since it is essential to describe the process briefly. Here are the steps in detail. Immediately before connecting any wires, ensures that you boot your computer. There are reasons why booting is essential and avoid faulty errors during software updates is one of them. 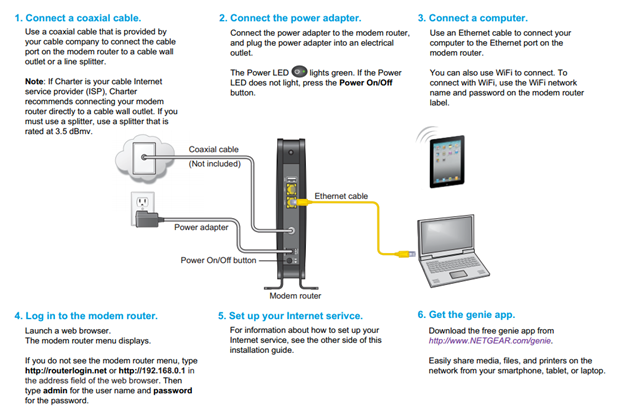 Note that one of the steps involves installing the modem’s software. Hence booting the computer first will help flash your laptop’s RAM and stop memory leaks. Your new modem came with software which acts as the device driver. After the laptop boot process, install the software. Port a coaxial cable to your modems cable outlet slot. This slot is located at the back of the modem. Make sure the cable is intact with the modem by spinning the metal piece at the end of the cable. Connect your modem to the power cord. Make sure that the modem lights after turning the power on. Use an Ethernet cable to connect your modem to the laptop. You might notice that the modem may fail to light. If that is the case, turn off the modem and plug the Ethernet cable to a different port on the modem. After you turn on the modem, the Ethernet light should turn green. At this point, you need to configure your modem so that it works with your operating system. Click on the windows button if you are using a Windows PC. Select Network Options on the control panel and choose view the properties. Ensure the viewed properties are of your typical modem LAN network. Further, you will click Internet Protocol and finally Properties. At this point, select Obtain the IP address automatically. If you are using a MacBook, go to system preferences. Click on the Network Pane, and it’s where you will find the Network Settings. You will configure your modem settings on the network Setup Assistance. You will not find a big difference between connecting your laptop with a modem and connecting your desktop to the modem. The steps to follow are the same. All you need to ensure a smooth surfing configuration is to have all the required devices at hand, read the modems user manual and you are good to go.